I almost crie reading this. I remembered how everything seemed like such a big deal when I was that age. It makes me stop and understand my 8 year old more. What seems minuscule to me because I've live life may seem huge to her because she has yet to learn from it. 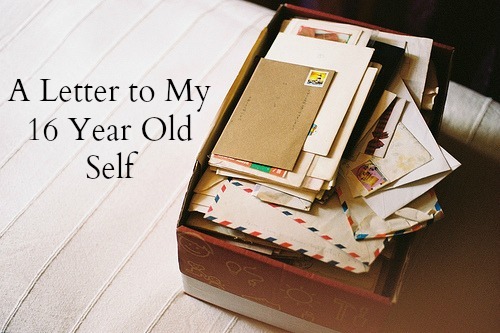 A letter to my 16 year old self is something that I have on my list of blog topics to write about. I've been putting it off but you just inspired me to give it a go! I love how open you were and it is apparent that you have grown and learned much!